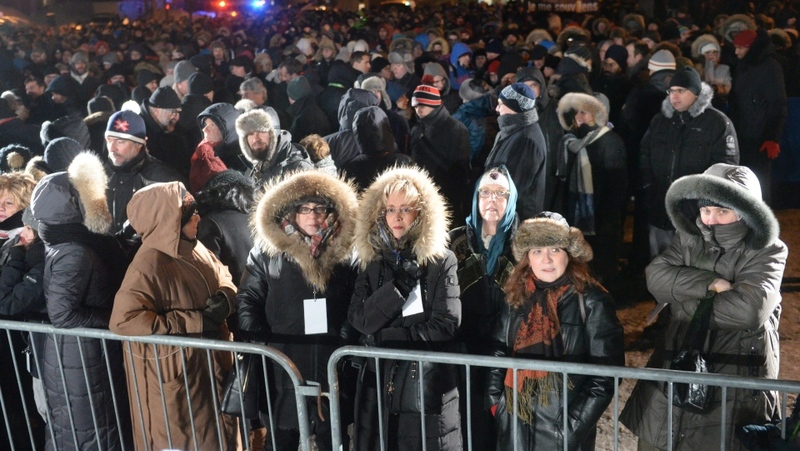 QUEBEC - Amir Belkacemi addressed about a thousand people who braved the frigid cold in Quebec City on Monday night and asked them never to forget the tragic mosque shooting that killed his father and five other men. "These men who fell last Jan. 29, my father among others, were good and loving men, pillars in their communities," he told the crowd on the one-year anniversary of the tragedy. "They were men who came together to pray, to celebrate peace. Let's not forget it." His father, Khaled Belkacemi, was one of six men who died when a gunman fired into the Islamic cultural centre during evening prayers. 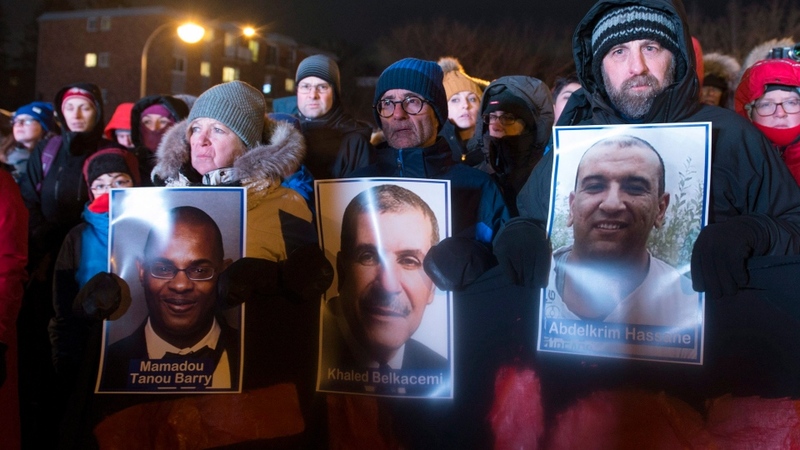 On Monday, Prime Minister Justin Trudeau and Quebec Premier Philippe Couillard were among the large number of people who gathered near the mosque to mark the anniversary of the tragedy. The vigil began with the reading of the victims' names and the number of children they had. Those men were Mamadou Tanou Barry, 42, Abdelkrim Hassane, 41, Belkacemi, 60, Aboubaker Thabti, 44, Azzeddine Soufiane, 57, and Ibrahima Barry, 39. 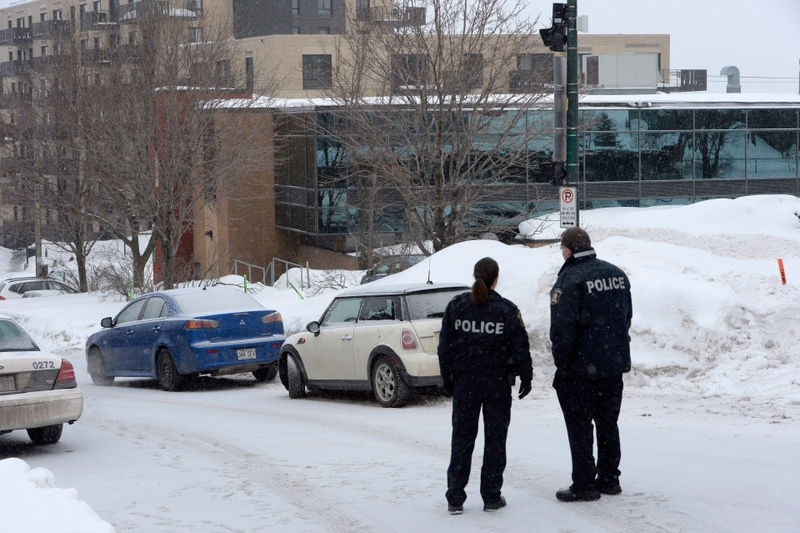 Alexandre Bissonnette is to stand trial in March on six charges of first-degree murder and six of attempted murder. While the speakers at the vigil expressed sadness, several also challenged the crowd to do a better job of confronting racism and hate. One of those was Trudeau, who encouraged Quebecers and Canadians to confront Islamophobia and to dig deep to overcome prejudice and fear. "Why does the word Islamophia make us uneasy?" he asked the crowd. "It's because it goes to fears, it goes to the irrational elements inside us," he said. Couillard, in his own fiery speech, questioned why some people from long-established Quebec families seem to feel superior to immigrants who arrived more recently. "We all came here to join the First Nations; it's only the date that changes," he said to applause. "We're not a better citizen because we've been here 10 generations, than another who came five years ago," he added a moment later. Other speakers included the mayors of Montreal and Quebec City as well as widows of the victims and Aymen Derbali, who lost the use of his legs after taking seven bullets during the shooting. Following the speeches, Trudeau, Couillard and the other dignitaries led a march to the mosque, where they each added a white rose to an impromptu memorial at the entrance. Instead of flowers, Quebec City resident Vivian Labrie brought a gift of a can of maple syrup and a package of dates to the mosque. She said the gift symbolized the coming together of different cultures and "how we can all be together." Etienne Prevost, who lives near the mosque, carried a large sign to the vigil that read "Quebec City will never forget Jan. 29 2017. That's a promise." He remembers witnessing the "apocalyptic" scene of a year ago, when police with assault rifles swarmed his quiet neighbourhood and the dead and injured were taken away on stretchers. "That day, I realized that evil could also be at the corner of my street," he said. Earlier in the day, Trudeau said in the House of Commons that racism is to blame for the massacre, and called on all MPs to stand against Islamophobia. "We owe it to (the victims) to speak up and stand tall and explicitly against Islamophobia and discrimination in all its forms," Trudeau said in his speech. His call to action Monday afternoon received just tepid applause, conjuring up memories of the heated debate about the use of the term Islamophobia which took off after Liberal MP Iqra Khalid introduced a 2016 motion that also called on parliamentarians to condemn Islamophobia and all forms of discrimination. In his speech in the House, Conservative Leader Andrew Scheer did not use the term "Islamophobia," but condemned the shooting as an "act of terror" and a "hate crime." "This shooting was an act of terror that shook up the entire region, province and country," Scheer said. Scheer and NDP parliamentary leader Guy Caron were at the vigil Monday evening, as was NDP Leader Jagmeet Singh.